He’s also tried French toast, buttermilk blueberry pancakes and banana bread. He also likes pumpernickel bread, and gnawing on cold watermelon rinds to comfort his swelling gums. And he’s eating Cheerio’s now, which he likes very much. To the fruits he’s tried so far we also added tomatoes, peach, watermelon, strawberries and fresh blueberries. For veggies, he’s also had zucchini and green beans, which he loves. I’ve been giving him cut up organic frozen veggies (peas, corn and carrots), which are very easy to make and serve. I just give them to him with a tiny bit of unsalted butter. In the protein department, he’s tried this month butter beans, canellini and red kidney beans, which are very easy for him to handle and self-feed. He’s eaten Havarti cheese, Old Amsterdam gouda, Parmesan cheese, manchego, mozarella and cottage cheese. He still likes yogurt, and specially the freeze dried yogurt melts that he can feed to himself. As the heat has started to rise out here, I’ve given him a try of mango sorbet and peach, as well as frozen yogurt. 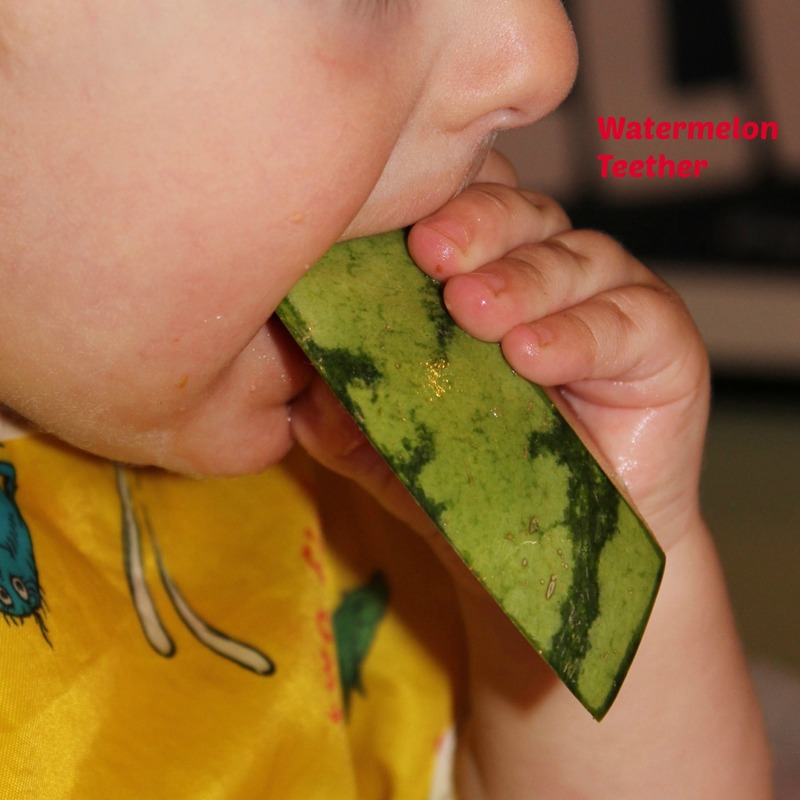 He loves it, both because it is refreshing and because it soothes his gums. Also, I made a watermelon-cucumber agua fresca and he loved it too! I guess that for this next month on our exploration of baby solid food, the most important part is to keep expanding his palate and add more spices and healthy foods to his diet — keeping the textures soft and pieces of food manageable for him to be able to handle. I’ll report back at the beginning of July! Tagged Baby, Baby food making.